Are you in the market for a new mattress? It can be a very in-depth process; there are so many brands and styles to choose from that purchasing a mattress is not unlike purchasing a car. However, this is with good reason – as your mattress is likely one of the most important pieces of furniture in your home. We spend a third of our lives sleeping, and it’s no secret that a quality night of rest is great for our bodies and minds. So, if you’ve decided it’s time for a new mattress, one of the first things to think of is brand. There are many reputable mattress brands out there, and it’s important to go with a trusted one. For example, a company like Serta has been in business for over 75 years – with good reason. Serta mattresses are known for their quality craftsmanship, comfort, and innovation. Whether you’re looking for a traditional coil mattress or the popular memory foam style, there’s a Serta mattress for you. Some popular styles include the Serta Perfect Sleeper Daylight, with a comfy pillow top that’s perfect for sinking into after a long day. 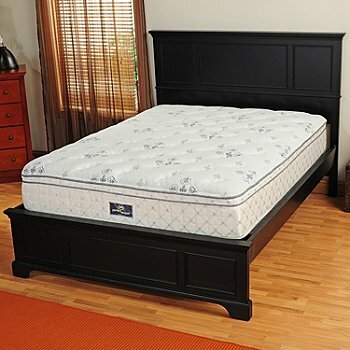 It’s also the official mattress of the National Sleep Foundation, so it comes very highly regarded! For memory-foam lovers, try the Serta iComfort Insight with Gel-Infused Memory Foam to get that perfect, molded-for-you feel. The iComfort also features cooling gel that keeps your sleep environment temperate and comfortable. These and many other Serta mattresses are available online at retailers like ShopNBC. So take the guesswork out of mattress shopping and browse online today to read real customer reviews, study product specifications, and compare price options. So rest easy (and sleep well) with Serta mattresses. This partnered post is brought to you by ShopNBC. Good article! I am not in the market for a mattress, My mom gave me her sleep number bed and I am in love with it.